A large expansion pack for The Elder Scrolls Online, which is set in the Argonian homeland. In Murkmire, you can gain the trust of the Argonians, explore Black Marsh and the Xanmeer pyramids ruins, and discover the secret of the Hist, the land's conscious trees. This is The Elder Scrolls Online expansion pack. Murkmire is an expansion pack the MMORPG The Elder Scrolls Online. Like the previous large add-ons, this one allows you to experience a new adventure in the previously unavailable part of the Empire. The DLC was developed by the creators of the base game and other expansions, ZeniMax Online. The Elder Scrolls Online: Murkmire is set in the homeland of Argonians (reptilian people). During the game you can not only gain their trust, explore Black Marsh and the Xanmeer pyramids ruins, but also discover the secret of the so-called Hist, intelligent gigantic trees, existing since ancient times. 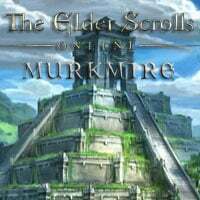 The Elder Scrolls Online: Murkmire adds a new area, whose size is comparable to that of Summerset Island from the previous DLC, and many new missions and side quests. Moreover, you can face previously unseen boss enemies and participate in PvP duels in a special arena. Murkmire is not a standalone expansion, and so it requires The Elder Scrolls Online base game to run. The DLC does not introduce any changes to the visuals or the sound layer.